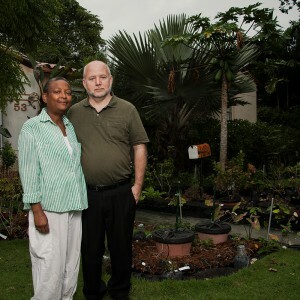 A Florida couple who had cultivated a small garden for nearly two decades at their Miami Shores home was given an ultimatum earlier this year by the city’s zoning code enforcement officer: Dig up your garden or pay $50 a day to the city for violating a new ordinance. After spending months attempting to obtain an exemption from the city that would have allowed them to continue tending a modest plot of vegetables at their home (just as they’d done for the past 17 years), Tom Carroll and his wife, Hermine Ricketts, dug up their garden. Miami Shores had instituted a new zoning ordinance in May outlawing vegetables (but not, as watchdog.org notes, fruit, trees or plastic flamingoes) in the front yards of local homes. That measure was followed by a visit to the couple’s home courtesy of the zoning department, which told the homeowners they would have to comply or pay a never-ending fine. After Carroll and Ricketts capitulated, the Institute for Justice — a civil liberties nonprofit organization staffed by lawyers — stepped in, filing a lawsuit that seeks to have the discriminatory ordinance declared unConstitutional. The organization alleges the code infringes on the couple’s privacy, and that the ordinance exemplifies a growing nationwide trend that pits government against small-scale food growers. Posted on November 23, 2013, in Vegetable Garden. Bookmark the permalink. 1 Comment.